by Briana Thornton on March 29, 2019 . Carousel ads allow you to use up to 10 photos or videos to showcase your product or service. These are great if you want to highlight different aspects and benefits of one particular product, you want to show a variety of related products, or even to use one large panorama image. 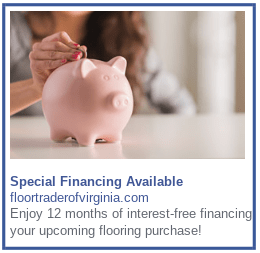 These are the simplest ad type that Facebook offers and are great for beginners as they are exactly what the name suggests: a single photo, frequently created by boosting an already existing post from your Facebook page. Video ads are great to give a little personality behind your brand: you can show your team with some behind-the-scenes type footage, show a product in action, or create an inspirational video that relates to your brand’s mission statement or goals. Somewhat of a hybrid between video and photo ads, slideshow ads offer an easy way to create short videos by using a collection of still photos or existing video clips. The great thing about these is that they use much less bandwidth than videos so they load faster, but they still have the scroll-stopping motion that’ll inspire people to stop and watch… and click. Collection ads are only offered on mobile devices (don’t worry, that’s still 1.5 billion mobile daily users), and they allow you to show one or more products that people can click to buy. 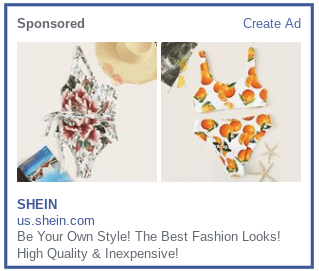 When combined with Collection ads, Instant Experience ads allow users to buy products without ever leaving Facebook! They’re a full-screen ad format that loads faster than a mobile website outside of Facebook, making their online shopping experience fast and seamless. Lead ads are exclusive to mobile devices because they are designed to make it easy for people to fill in their contact information without requiring them to do a lot of extra typing. They’re especially useful for collecting newsletter subscriptions, signing people up for product trials, etc. 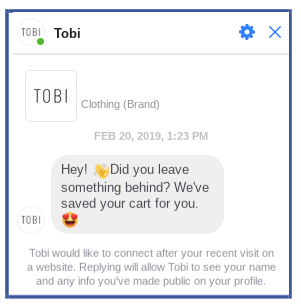 Have you ever placed an item into your online shopping cart and left before completing the purchase, only to see that exact same product three different times on your Facebook feed? Those are dynamic ads, used to promote products to customers that are most likely to be interested in them. This can be a very effective online advertising strategy. You can set photo, video, carousel, and dynamic ads to appear in Facebook Messenger, giving you even more access to Facebook users, as over 1.3 billion people use Messenger every month. During the process of creating your ad, simply choose Messenger as the desired placement in addition to Facebook feed. Now, we won’t go into the actual process of creating and publishing your Facebook ads, mostly because Facebook makes the online advertising process pretty simple and self-explanatory. Facebook allows you to choose and set specifically defined goals for your ads, which is one element that makes it such a great online advertising platform. By setting goals for your ad campaign before even going live with the ads, you’ll have a way to measure your success. You can set goals such as increasing attendance to an upcoming event, generating new leads, and boosting engagement on your Facebook page. Next, Facebook will have you choose an objective for your campaign. You’ll have 15 options on a screen that looks like this: After choosing a goal, you’ll want to define your audience and budget. 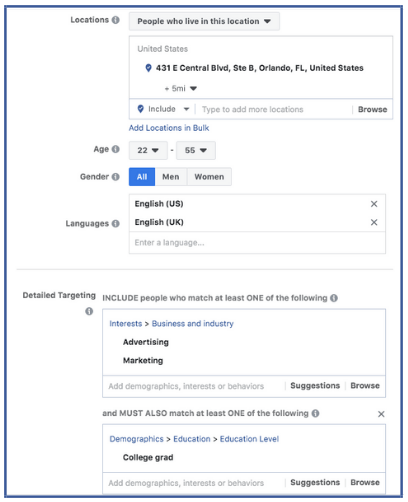 Facebook allows you to get really specific with your audience qualifications, so take advantage of the fact that you can really narrow down who is seeing your ads, which in turn saves you money by not displaying the ads to people who would be uninterested. You can also retarget people who have already interacted with your business. 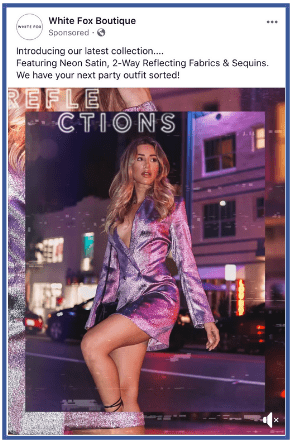 Here’s an example of a recent Array Digital ad campaign, advertising our Marketers Anonymous Orlando meetup to people that live close to the venue. We were able to narrow down our audience from the entire population of Florida to just the people we thought would find value in our Marketers Anonymous meetups and the information those provide. 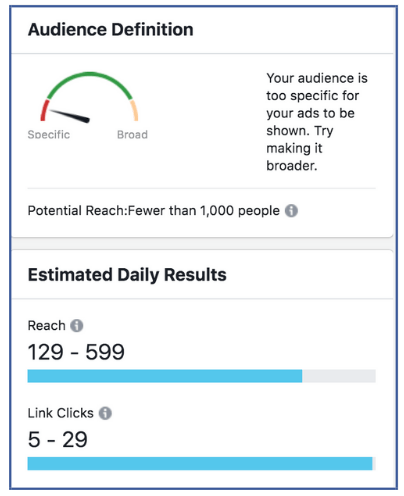 As you can see, Facebook alerts you if it thinks your audience is too broad or specific, which is also a really helpful feature in allowing you to target the perfect number of people for your online advertising. After selecting your target audience, you’ll have to decide how much money you’d like to spend on your ad campaign. Remember, this is the maximum amount of money you want to spend on this particular ad. You can set either a Daily budget – the average that you’ll spend per day – or a Lifetime budget – the maximum you’d like to spend over the lifetime of the campaign. Now for the fun part. Choose your images (or video), headline, body text, and where on Facebook you want your ad displayed. There are two ways to go about creating your Facebook ads: 1) Use an existing post, or 2) Start with a blank canvas and create a new ad. Not Sure What to Advertise? With the huge range of ad options, it’s completely understandable if you feel like you’re standing on the side of the deep end, too overwhelmed to get your feet wet. But you really just have to dive right in and here are some strategies to help you do that. Your brand likely has a piece of content that has outperformed most of your other content and driven loads of traffic to take action on your site. Maybe it was an Instagram post that got tons of engagement, a blog post that got lots of clicks, or a FAQ that you get often then answered on Instagram Stories and got tons of DMs in response. Whatever it may be, you can adapt that into a short video to repackage it as top content for your Facebook ads. Figure out how you can convey the same key message into a short video with a little text and what images will reinforce the idea with your brand identity. Try starting with a very narrow audience and then broadening it slowly as you see fit by adding more interest categories into the mix until you find the sweet spot. You can also target different audiences with different ads depending on their interests. If you have a business with a largely local audience, you can try narrowing your audience by zip code, which is especially helpful when you know you want to target a particular city or neighborhood. And test everything! 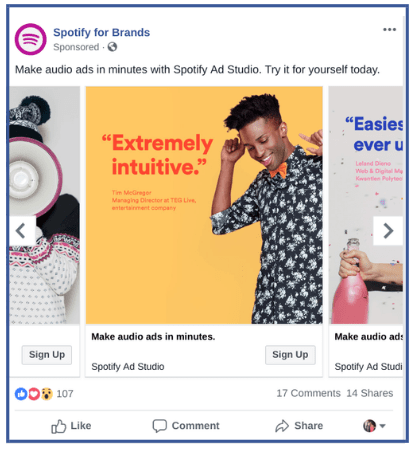 You shouldn’t assume that one thing might work and another won’t because with Facebook ads (and online advertising in general), you never really know. Something new might perform extremely well with an old audience while a new audience might not respond well to your tried and true techniques. Every time you try something new, you should test it against your old metrics to see what improvements you are making. That’s why it’s also important to closely monitor the performance of your campaigns in the Facebook Ads Manager dashboard. If one campaign is not performing well, take money from that budget and put it towards one that is. And if you’re just starting out, it makes the most sense to run several ads with small audiences and budgets than limiting yourself to one large campaign and over-targeting with your audience. You know what’s super unattractive? Low-quality photo and video ads. This is the part of your advertisement that’s going to spark your audience’s interest and make them stop the mind-numbing scrolling. While, yes, your body text is important too, your visuals make the first impression. 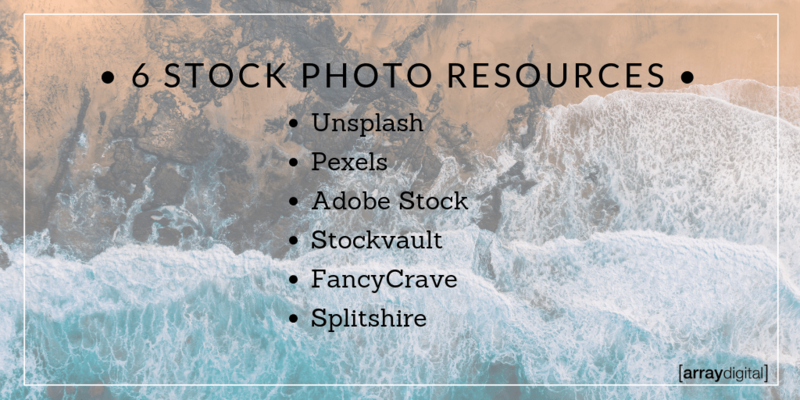 Just like we said in “The Ultimate Guide to Using Pinterest for Your Business,” if you don’t have the equipment to take your own pictures or videos, there are tons of stock image resources out there. 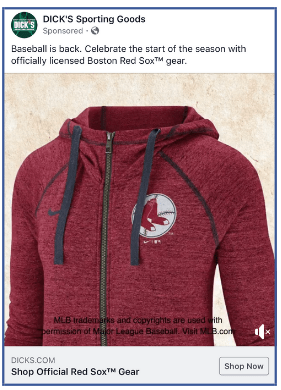 If you sell a product, Facebook recommends creating an ad that shows someone using or benefitting from the product rather than a single product shot. For example, let’s say you are a skincare company. It would be far more effective to have a video of someone talking about the best features of your new moisturizer than a picture of the moisturizer jar, no matter how aesthetically pleasing the styling of the photo is. The Facebook algorithm is extremely intelligent, so use it to your advantage. You may find that when you are running ads you get hit with a higher cost per click or cost per conversion than you anticipated. One way to combat this is to turn off those ads and start from scratch, but that probably won’t solve your problem. A better way to get things back on track is to broaden the audience in your ad set and let Facebook’s algorithm take over. 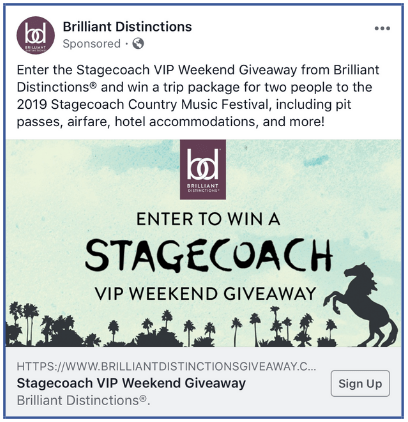 As people click or convert, Facebook will pick up on the similarities between them and begin showing your ad more often to people with those characteristics, while limiting the times the ad is shown to people who Facebook feels are unlikely to click or convert.